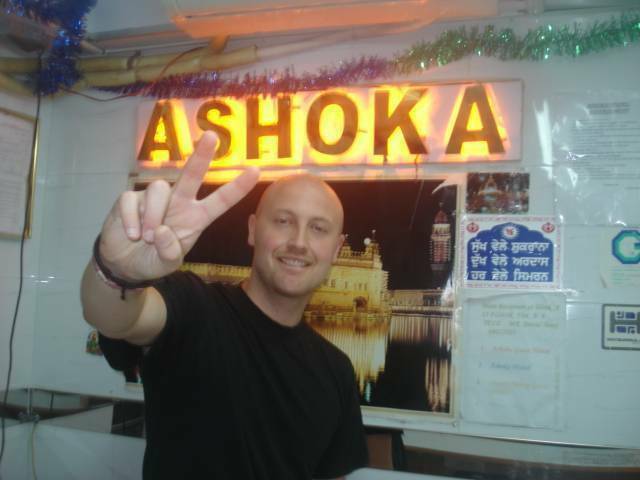 Ashoka Guest House ... 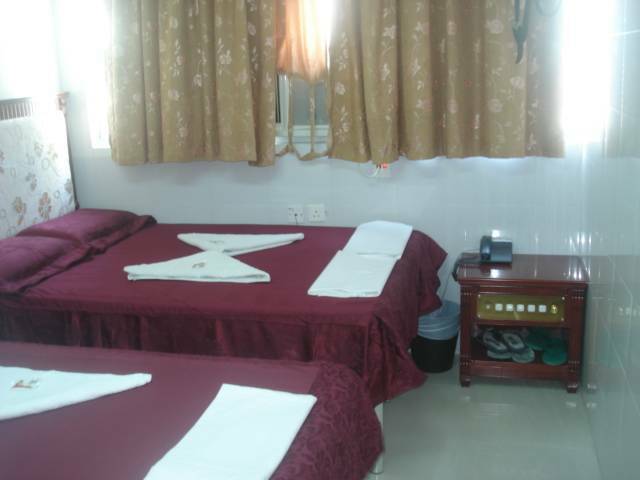 The guesthouse is very clean and very friendly staff who went out of their way to help us and make us feel welcome. The building itself is a appears a little rundown but this is not the case for Askoka Guest house. 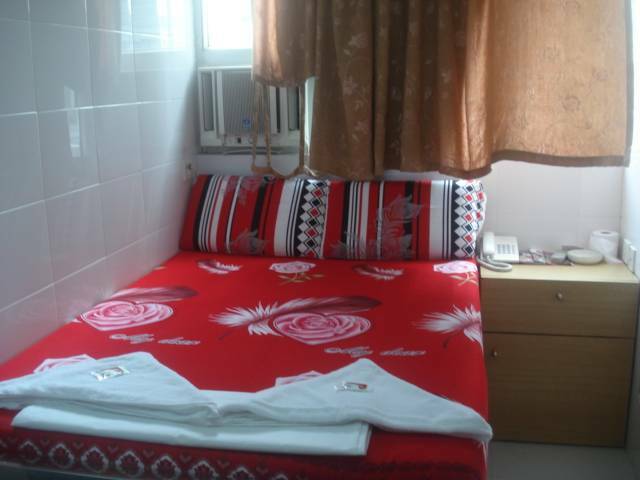 Ashoka Guest House is located in the centre of the city Tsimshatsui- Hong Kong. It provides the professional enviroment with Cleanliness, Security, Convenience. All rooms are maintained with standards in ordere to guarantee a high level of customer satisfaction. All transport systems (MTR, KCR, Star Ferry and Bus) are in 1-5 minutes walk. All the Banks , Restaurants and shopping centres are just walk away, the beautiful Victoria Harbour is within walking distance. Deluxe Twin private Ensuite: With private shower and toilet. 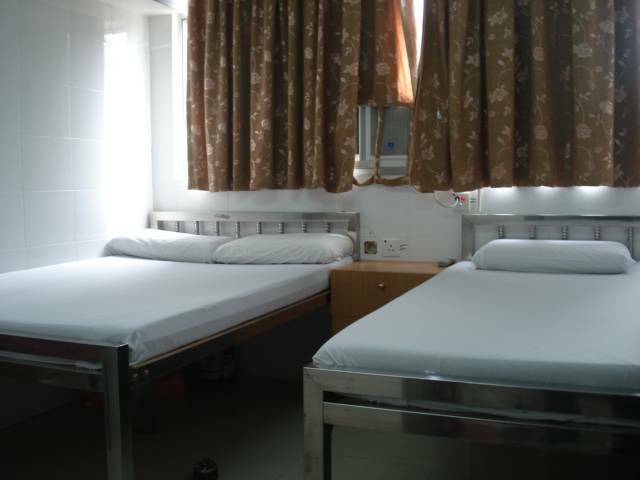 1 double bed and 1 single bed. TV, telephone (free local calls), clean towels, WiFi Internet connection (requires guest's own computer). Guesthouse has fax, kettle, water-heater, fridge. Window with nice view. Travelers have the choice of taking, the Citybus A21 Route, the taxis or the MTR Airport Express to reach our hostel from the airport. Airport bus is the most popular method to get to Chungking Mansions. The Airbus Station is located near Hall B on the Arrivals Level (Level 5) of Hong Kong International Airport. Find the bus stand for A21 Airport Hung Hom KCR Station Route. You will see a map of the terminal. There is usually a lineup of around 10. The bus departs approximately every 10-15 minutes. A fare is HK$33. When you are on the bus, be sure to first secure your luggage then find a sit on the lower level. In 40-70 minutes (varies with traffic) you will reach the Bus Stop No. 14 - Middle Road, Nathan Road. (1st being the airport). Once you got off the bus, turn the back way, and walk approximately about 50M, It takes about 30 seconds on foot. you can see the ChungKing Mansions front entrance on your right hand side. You will see the huge TV screen paste at the wall of Chungking Mansions. When you make sure you are at ChungKing Mansions, walk into the Block A (just be close to the Chungking Mansions front entrance). You can see two lift, take the right hand side one(stop at odd numbers floor), push the 3rd floor button, when you are out, you can see our reception should be within your sight. From the airport, you can get to our Guest House directly. It is the quickest and the most reliable method. It takes about 30-45 minutes. 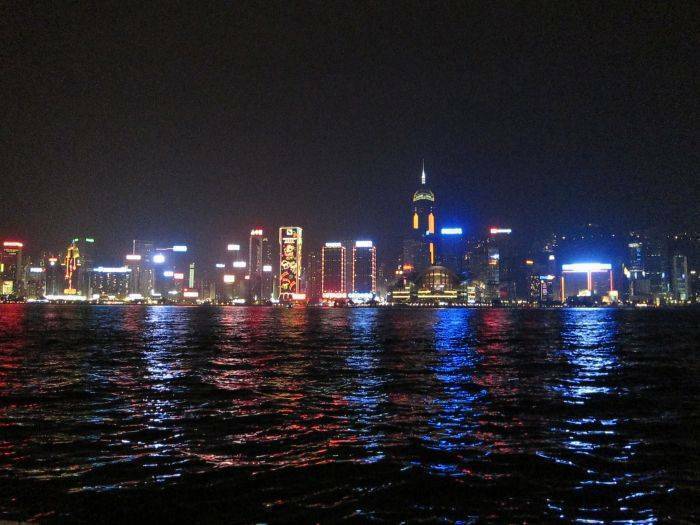 You are expected to pay about HK$280-300 for the trip. Taxi driver may not know precisely where ChungKing Mansions is. Even if they do, they may not have heard of its name in English. If will be helpful to show them the map or chinese word. There is no airport taxi, only regular taxis. Please catch the red coloured one, because other colours do not go to the Kowloon area. Once you got off the Taxi, just find the huge TV screen paste at the wall, that just the Chungking Mansions. It should be within your sight when you got off the Taxi. For passengers who wants a balance between comfort and economic, the Airport Express Railway is the definite choice. Airport Express can be easily spotted in the Arrival Hall. You will find ticketing machine on side walls. Purchase your ticket for the Kowloon stop. Get off at Kowloon station. This will take 20 minutes. The fare is HK$90. After 20 minutes of the ride, you will arrive at the Kowloon Station. Direct your self to Exit A and hop on to a taxi It takes about 5 minutes to get to ChungKing Mansions. 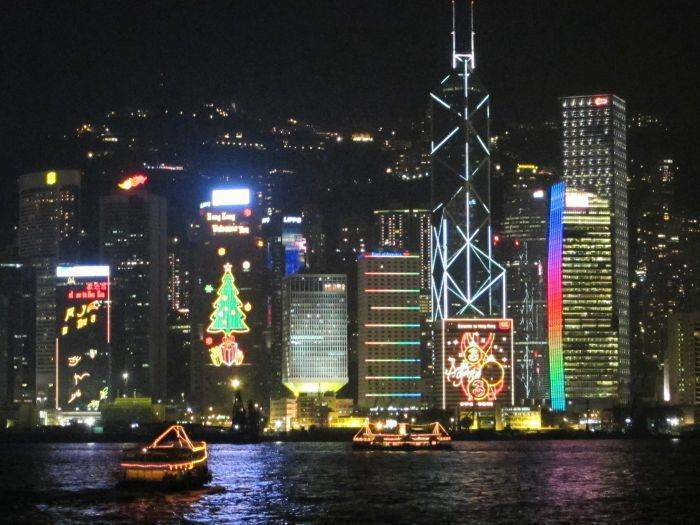 You are expected to pay about HK$20 for this short trip, or you can take shuttle bus K5 to go to the Holiday Inn hotel. Get off at Holiday Inn Golden Mile (Hotel). walk to the Nathan Road side, and turn to the left hand side walk more 50 steps, you will find the huge TV screen paste at the wall, that just the Chungking Mansions. If you take the nonstop train from Beijing, Shanghai or Guangzhou, your train will stop at the Kowloon Hung Hom Station. When you get off the train, buy the ticket to the station - East Tsim Sha Tsui. It cost HKD$3. 5 one person, and take 2 minutes. When you arrival the East Tsim Sha Tsui station, Get off from K gate - Middle Road. After comes out walks towards Nathan Road direction, walk to the intersection right extention, walk 100m, obviously Chungking Mansions main entrance, It takes about 2 minutes on foot. MTR (Mass Transit Railway): This is most popular city transportation for foreign tour list. You will find the huge TV screen paste at the wall, that just the Chungking Mansions. It should be within your sight when you got off the E gate. When you arrive at the Hong Kong international airport, before you collect your luggage, there are many free telephone you can use, please call us immediately, we will direct you the easiest way to come to our Guest House.